The 2000s. It doesn't seem that long ago. To some of us. Yet there are still cars that have fast disappeared from our roads in a short space of time. Some sadly missed, others perhaps best forgotten. These then are the rarest survivors from the 2000s. The Mazda what? I hear you asking. Well long before Mazda made things simple with its names, there was the Xedos range. 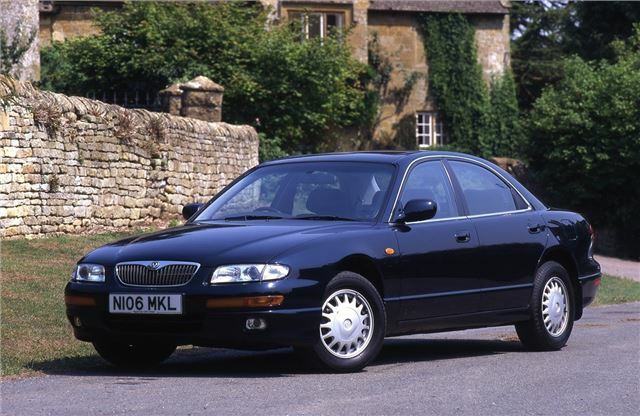 There were two models - the Xedos 6 and the Xedos 9 - marketed as luxury models from Mazda. The larger Xedos 9 was designed to be a value for money rival to the established likes of the BMW 5 Series. But this was long before Mazda had the reputation it has earned today, so few buyers took the plunge. Unsurprisingly it was never replaced as Mazda focussed on more mainstream models. Few were sold and even fewer survive today.